We’re very happy to welcome two more animators aboard The Cat Piano animation team. Alex Grigg and Benjamin Drake both students of Queensland’s Griffith University animation course. The two animators who studied with our own Makoto Koji, have come down from sunny Queensland to work on the film here in well..sunny Adelaide! Both of them have great drawing and animation skills and we look forward to what they can bring to the project. 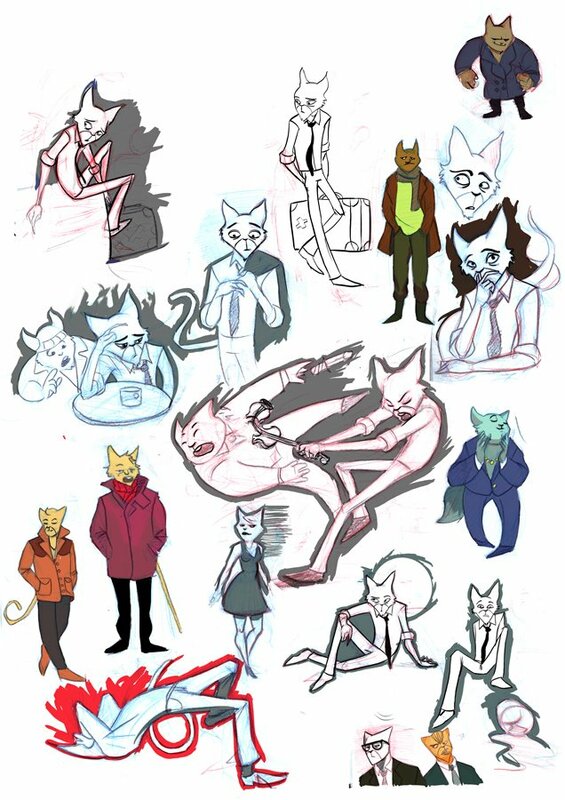 Here’s a lively page of cat piano themed sketches that Alex sent us a week before he arrived. His style clearly fit with the film’s. The film will be finished by the end of January 2009 so watch this space.